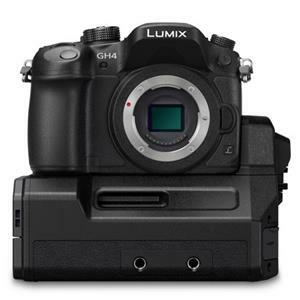 Hybrid Camera Revolution: Panasonic Announces Pricing and Availability for GH4 and 4K Interface Unit! Panasonic Announces Pricing and Availability for GH4 and 4K Interface Unit! Several sources are reporting that Panasonic has announced official pricing and availability for the new DMC-GH4 4K camera and its DMW-YAGH pro audio video interface. 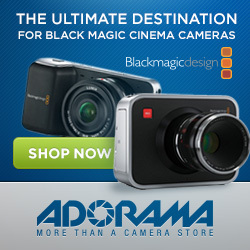 Preorder links are up at some of the smaller retailers (and at Adorama) already. They are not up at Amazon yet, but should be soon (EDIT: the pre-order link is now up at Amazon ). It looks like my earlier estimate for the price of the GH4 was about right - but my guess on the price of the YAGH was off by $200 to the high side. This is very exciting news. It means that existing micro 4/3 shooters will be able to step up to 8-bit 4K from their existing cameras for less than $1700. And new micro 4/3 shooters can step up for $1700 plus the price of a lens or adapter. For indie movie shooters who want to step into the world of 10-bit 4K motion picture production this means that for less than $7000, they can record true cinematic 4096x2160 4K. That $7000 number is based on $3300 for the GH4 /interface kit, plus either a $2295 for a Convergent Design Odyssey 7Q or a $3495 Aja Ki Pro Quad). A pretty good still camera to boot. As for Canon and Sony 4K cinema cameras - when it comes to price, they are not even in this conversation. Welcome to the next phase of the hybrid still/video camera revolution! You realize that every link you posted is dead or doesn't work, right? Fixed it. Thank for the heads up! Appreciate it.